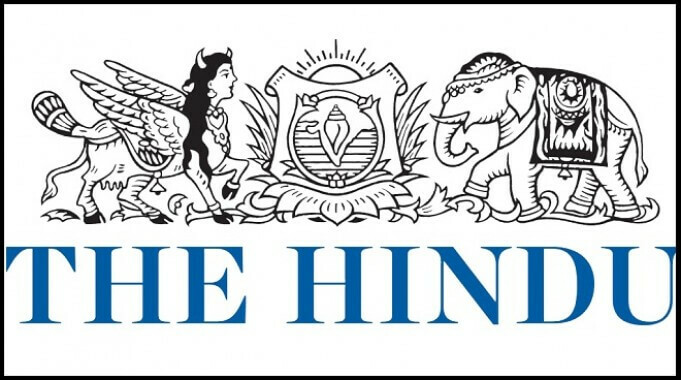 THE HINDU EDITORIAL – June 30, 2018 is one of the must read for the competitive exams like SBI PO Prelims , SBI CLERK Prelims Exam, BOB PO Manipal Online Exam and South Indian Bank PO Manipal Exam. These topics are widely expected to be asked in the reading comprehension , Cloze Test or in Error Detection topics in the forthcoming exams. So gear up for your Exam preparation and learn new words daily. The provisions of the new Higher Education Commission of India (HECI) Bill drafted by the Centre have far-reaching implications for the expansion and quality of human resource development, at a time when access to skill-building and educational opportunity are vitally important. There were 864 recognised universities and 40,026 colleges in the country in 2016-17, while the gross enrolment ratio of students was only about 26%. To put this in perspective, there were only 20 universities and 500 colleges at the time of Independence. Previous attempts at system reform involving expert committees and even legislation to create a new body for higher education and research had advocated changes, with an emphasis on promoting autonomy, access, inclusion and opportunity for all. That challenging goal will fall to the HECI, the proposed successor body to the University Grants Commission. For this very reason, the Centre should give sufficient time to academia, the teaching community and society at large to submit considered opinions on the draft proposals. Among the key questions that need resolution is the future role of multiple regulatory bodies that currently exist for engineering, medicine and law; the Yash Pal Committee had recommended that they should be brought under the ambit of a single commission. There is a case to include other professional education streams as well, including architecture and nursing. The aim should be to set academic benchmarks for each stream, with sufficient autonomy to innovate on courses and encourage studies across disciplines. Among the more contentious issues arising out of the draft Bill is the Centre’s decision to shift grant-giving powers for higher education institutions to the Ministry of Human Resource Development or a separate body. The UGC has been doing this so far, covering a variety of functions, and whatever the flaws, it ensured a separation of funding decisions from political considerations. Maintaining a balance on allocation of funds and ensuring transparency will now depend on the proposed advisory council to the HECI. It is welcome that the States are represented on the advisory council, giving it a federal character, although it is the Centre that will have the final say in all matters, not even the apex HECI. At a broader level, higher education is challenged today by fast-paced technological changes affecting the economy and the need to create a workforce that has the requisite skills. Reform should, therefore, lead to the creation of an agency that has the intellectual corpus to help universities and colleges adapt, and the vision to plan for public funding in the emerging spheres of activity. There is a positive attempt in the draft legislation to weed out degree mills and dubious training institutions, with a provision for prosecution and imprisonment of management officials who defy the HECI. Yet, this will take political will, given that over the past three decades laissez faire expansion of higher education has been pursued purely for commercial motives. As a series of important State elections and then the Lok Sabha election approach, the Congress is being watched for how it plays the secularism card. Over the last three decades, as the Bharatiya Janata Party (BJP) has purposefully moved to the political centre stage, the Congress has defined its secularism in opposition to the former’s exclusivist ideology. But only too often, it has faltered on the slippery ground of secular practice. 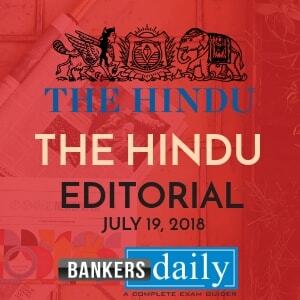 Indeed, the party has a history of ideological confusion going back to its opposition, in the mid-1980s, to the Shah Bano verdict to please ‘Muslims’ and permission for the shilanyas at the Ram Janmabhoomi site in Ayodhya to please ‘Hindus’ — decisions which cost it ideologically and electorally. As the Congress has lost ground, its leaders have swung between advocating a middle path and plotting a frontal battle against Hindutva. At his first press conference as Prime Minister in 2004, Manmohan Singh had said, “I am opposed to fundamentalism of all types — whether it is fundamentalism from the Left or fundamentalism from the Right.” His studied neutrality resonated at that time with many in a party grappling with strategies to counter the BJP’s no-holds-barred ideological onslaught. 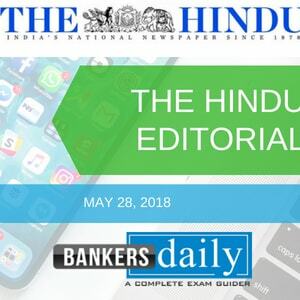 But it had annoyed the Left parties supporting the Congress-led United Progressive Alliance government as well as those in the party who wanted it to pursue a more vigorous brand of anti-Hindutva. Ten years later, when the Congress lost power, senior party leader A.K. Antony had raised questions over the party’s commitment to secularism, saying, “People have lost faith in the secular credentials of the party. They have a feeling that the Congress bats for a few communities, especially minorities.” Mr. Antony stressed that he was referring only to Kerala, but most Congressmen extrapolated it to mean he was referring to the country. As the BJP flourished, a stream of Congress members shifted allegiance to it. And, over the last four years, with mounting instances of intolerance, including lynching of Muslims and Dalits, cow vigilantism and ‘love jehad’ campaigns, a helpless Congress has looked on, swinging between taking the occasional potshot at the BJP-Rashtriya Swayamsevak Sangh (RSS) and actions that party MP Shashi Tharoor has evocatively described as ‘BJP-lite’. This confusion was reflected in the party’s stand on former President Pranab Mukherjee’s recent speech to RSS novices at its headquarters in Nagpur. Senior Congressmen had urged him to refuse the RSS’s invitation. After the event, the party’s official response was effusive. Even though Mr. Mukherjee had described RSS founder K.B. Hedgewar as “a great son of Mother India”, the party said his subsequent address had shown the “mirror of truth to the RSS”. A belated invitation was even sent to Mr. Mukherjee to attend the Congress’s iftaar party. In the process, the party embarrassed a large section within its own ranks, even as it sent out a confused signal to the minorities while holding an iftaar party after a gap of two years. Ironically, a few days after Mr. Mukherjee’s all-things-to-all-ideologies speech in Nagpur, Congress president Rahul Gandhi appeared in a court in Bhiwandi where he is facing a defamation suit for allegedly saying, in a public speech in the run-up to the general election in 2014, that “RSS people” killed Mahatma Gandhi. Mr. Gandhi has also, on his part, framed his battle against the RSS-BJP combine as “ideological” — in line with the party’s official line since the RSS’s formation in 1925, and with the ban imposed on the organisation thrice by different Congress governments at the Centre — after Mahatma Gandhi’s assassination in 1948, during the Emergency, and after the destruction of the Babri Masjid in 1992. Till the mid-1980s, the Congress, as a big tent party that accommodated a large swathe of political opinion and ideologies, managed its ambivalence on secularism because it was electorally strong. Then came the anti-Sikh riots in 1984, following Indira Gandhi’s assassination, the Shah Bano case in 1985, the opening of the locks of the Babri Masjid in 1986, the permission to hold shilanyas for the Ram temple in Ayodhya in 1989, and the failure to protect the Babri Masjid from destruction in 1992 — all under Congress watch. The party’s inability to craft a well-considered strategy to counter the rise of the Hindutva forces ideologically while accommodating the Other Backward Classes, now riding the Mandal wave, saw the party’s electoral footprint shrinking. If the Congress failed to see the silent inroads the RSS and its many front organisations were making across the country, winning hearts and minds below the radar — especially between 1998 and 2004 when the A.B. Vajpayee government was in power — party leaders succumbed overground too. 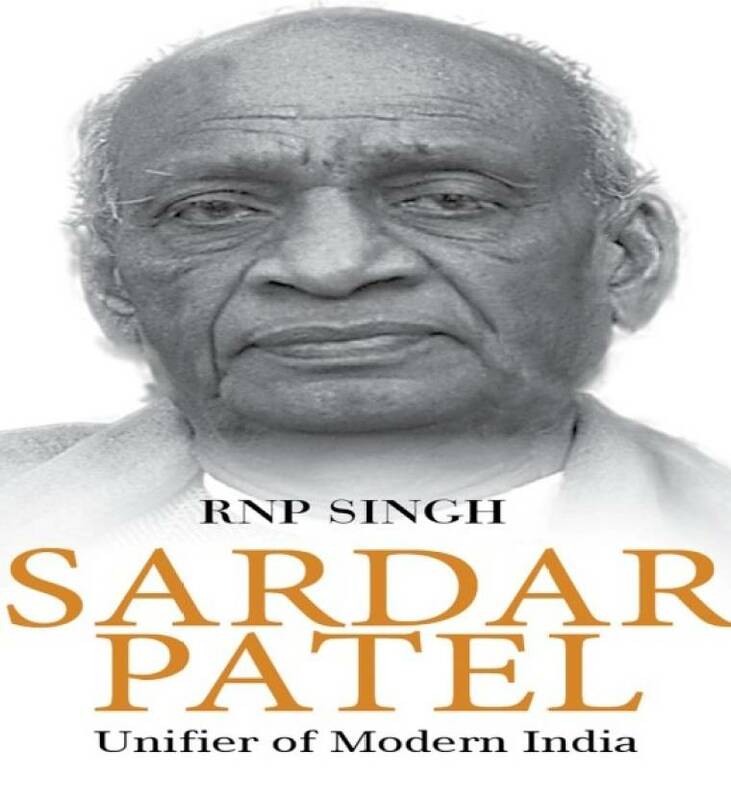 For example, in 2003, Mr. Mukherjee and Shivraj Patil, as members of a parliamentary committee, did not object to the Vajpayee-led BJP government’s decision to install in the Central Hall of Parliament a portrait of Veer Savarkar, who had formulated the concept of Hindutva. An embarrassed Congress, including the then Lok Sabha Deputy Speaker P.M. Sayeed, boycotted the unveiling of the portrait in February 2003. However, Rajya Sabha Deputy Chairperson Najma Heptulla attended the event, presaging her departure for the BJP the following year. More recently, during last year’s Gujarat elections, Mr. Gandhi visited a string of Hindu temples, even referring to himself as a “Shiv bhakt”, and permitted a party spokesperson to describe him as a “Janeudhari Brahmin”, sending out a confused signal to Dalits, OBCs and Muslims. Today, the Congress believes it can take on the BJP electorally through a carefully crafted coalition in 2019. But will that be enough to preserve India’s social fabric? For if the party continues to lack the will or conviction or, indeed, the intellectual bandwidth to fight the BJP ideologically, India’s liberal democracy will remain under threat. Meaning: The conclusion that can be drawn from something although it is not explicitly stated. Meaning: In a way that is absolutely necessary or essential. Meaning: Make changes in (something, especially an institution or practice) in order to improve it. Meaning: The right or condition of self-government. Meaning: A person or thing that succeeds another. Meaning: The highest point or top of something. Meaning: Move or develop (something) at a particular rate or speed. Meaning: Made necessary by particular circumstances or regulations. Meaning: A collection of written texts, especially the entire works of a particular author or a body of writing on a particular subject. Meaning: To get rid of unwanted things or people from a group. Meaning: Thought not to be completely true or not able to be trusted. Meaning: The institution and conducting of legal proceedings against someone in respect of a criminal charge. Meaning: The principle of separation of the state from religious institutions. Meaning: (Of a person) evasive and unpredictable; not to be relied on. Meaning: A decision on an issue of fact in a civil or criminal case or an inquest. Meaning: In a way that relates to ideas or an ideology, especially of a political or economic nature. Meaning: Struggle to deal with or overcome (a difficulty or challenge). Meaning: A document proving a person’s identity or qualifications. Meaning: Extend the application of (a method or conclusion) to an unknown situation by assuming that existing trends will continue or similar methods will be applicable. Meaning: Be working or at the height of one’s career during a specified period. Meaning: Loyalty or commitment to a superior or to a group or cause. Meaning: (Of a feeling) become stronger or more intense. Meaning: (Of a group of people) kill (someone) for an alleged offence without a legal trial, especially by hanging. Meaning: Law enforcement undertaken without legal authority by a self-appointed group of people. Meaning: The spiritual struggle within oneself against sin. Meaning: Making you remember or imagine something pleasant. Meaning: Showing or expressing gratitude, pleasure, or approval in an unrestrained or heartfelt manner. Meaning: Feeling or showing embarrassment. Meaning: Using words that suggest the opposite of what you intend, usually in order to be humorous. Meaning: Used to convey that something is claimed to be the case or have taken place, although there is no proof. Meaning: The action of assassinating someone. Meaning: A feeling of worry or unease. Meaning: Having or showing high moral standards. Meaning: A broad strip or area of something. Meaning: Fail to resist pressure, temptation, or some other negative force. Meaning: Withdraw from commercial or social relations with (a country, organization, or person) as a punishment or protest. Meaning: Accept (behaviour that is considered morally wrong or offensive). Meaning: The action or process of demolishing or being demolished. Meaning: Relating to the ability to think and understand ideas at a high level, or involving ideas. What is Higher Education Commission of India (HECI) Bill ?